A friend of mine shared this article from the New York Times today on writing angry letters, and how many well-known people from history (Abe Lincoln, Harry S. Truman, etc) used to take it upon themselves to write “hot letters” (letters that remained unsent). The purpose behind the letters is simple: for one, they are a form of catharsis; instead of bottling all of your emotions up inside letting them fester, you get them all out on that paper – in a way that doesn’t add any more fuel to the fire. Secondly, it’s a way to say what you truly feel – and often times these vitriolic versions of letters can be toned down, made more appropriate, or organized in some way that they may actually be re-written and sent on to the addressee in hopes of actually becoming a positive form of communication. Personally, I have certainly never been one to sit idly by while something or someone pushes my buttons, and I’m definitely the type that lets things boil underneath my skin unless I get them off my chest. So it probably comes as no surprise then that I, myself, am quite guilty of writing “hot letters” in moments of passion. And, while the majority of these have gone unsent, and most are probably lost forever now – some did become the rough-drafts of letters that found their owners (as it turns out, there are very few things I am comfortable with leaving unsaid), and some have even gone on to become the basis for these posts! (Like this one). So, because I’m still feeling quite under the weather (holy crap can I just breathe out of my nose again? Is that really so much to ask? 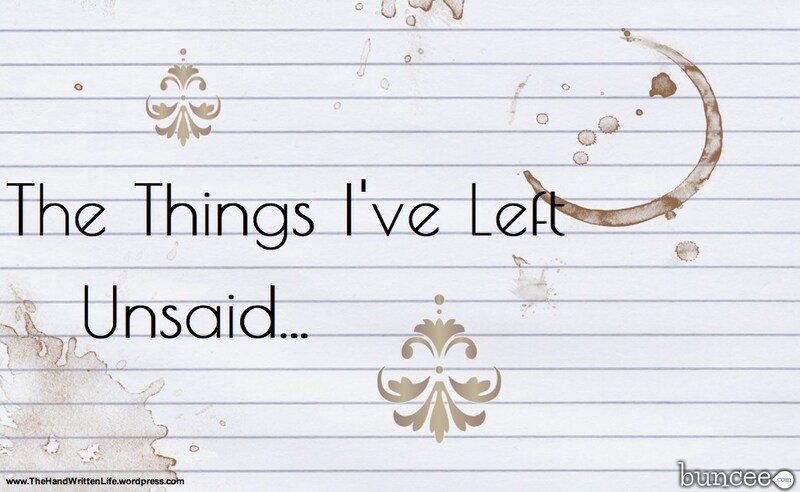 ), here’s a quicky little “Things I’ve Left Unsaid” post for you all, to tide you over until I can actually update you on all of the exciting stuff that’s happening! Are you a person who writes “hot letters” when someone’s gone too far? Do you ever clean them up and send them? Or do you find it’s better just to get it all out, and then move on? ← Joyful Home and Life: Family Quote Round-Up!! Wow!!! I need to use that!! Uh, Yes, you do!! It feels soooo good! I think the idea of writing a letter that won’t be sent is probably pretty good therapy. I think it is very seldom they need to be sent. Although, Anne’s advice is probably good justification, it’s not a very merciful response! It really is a great way to help you let go of certain things. Usually I find it also helps me figure out what the real problem is, or why I’m so mad in the first place – which often helps resolve the issue! 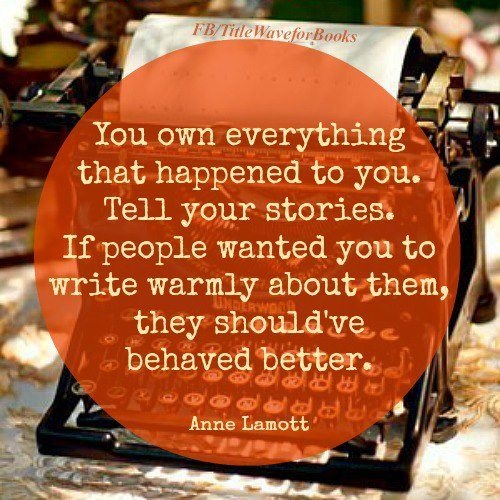 And too true, I think there is a balance to the whole thing – you should never go out of your way to write negative things about someone just because, but I think as a writer it’s also important to never compromise your truth for the sake of covering up for someone else’s. Of course there are even times for this as well – there are certain things I would be totally comfortable sharing but that Captain America would DIE to know were out there on the internet, so I have no problem making a compromise there…but then again, he’s never done anything that I couldn’t find a way to write warmly about anyways, so I guess that’s not quite the same situation! It’s definitely helped me through some rough situations!! Unfortunately, I did not historically have the sense not to send my own such letters! Now it is uncommon for me to even contemplate writing such a letter, but it used to be commonplace for me.